If we can’t avoid the toxins in our polluted world, what can we do?Detox with Earth Flour! 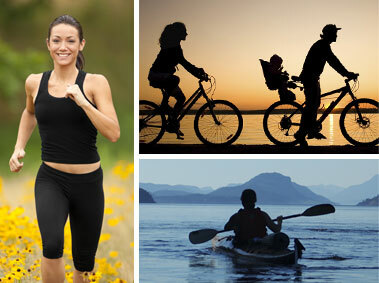 What could you do with boundless energy and vibrant health? How would better health change your life and your prospects for the future? Have you tried everything to feel better but still struggle with health issues? Environmental toxins could be the problem!The solution? Those who know, say:Detox with Earth Flour! FACT: Most people tested show contamination with environmental toxins—mercury, lead, arsenic, cadmium, nickel, man-made chemicals, and more. FACT: Synthetic chemicals and toxic metals unleash havoc in the human body, crippling the immune system, interfering with cell and organ functions, and causing or worsening serious disease. FACT: Earth Flour is the first food grade, freshwater Diatomaceous Earth scientifically approved and insured for Human Consumption. We double refine Earth Flour to produce America’s purest, non-crystalline powder proven to absorb environmental toxins and other troublemakers in the human body. “Diatomaceous Earth—food grade, freshwater and amorphous (non-crystalline)—has been reported in the scientific literature to absorb methyl mercury, E. coli, endotoxins, viruses (including poliovirus), organophosphate pesticide residues, drug residues, and protein, perhaps even the proteinaceous toxins produced by some intestinal infections … The nearest to a ‘miracle product’ I have ever seen. It does so much good, with virtually NO side effects, except for occasional healing crises!” Galen Knight Ph.D., Renowned biochemist and co-discoverer of two natural, effective treatments for cancer. 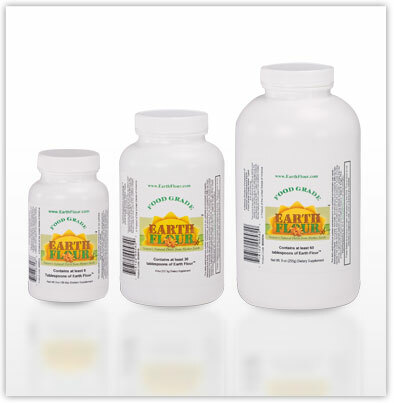 Only this form of diatomaceous earth, from Fernley, NV, has been certified Kosher Parve for year-round and Passover use.